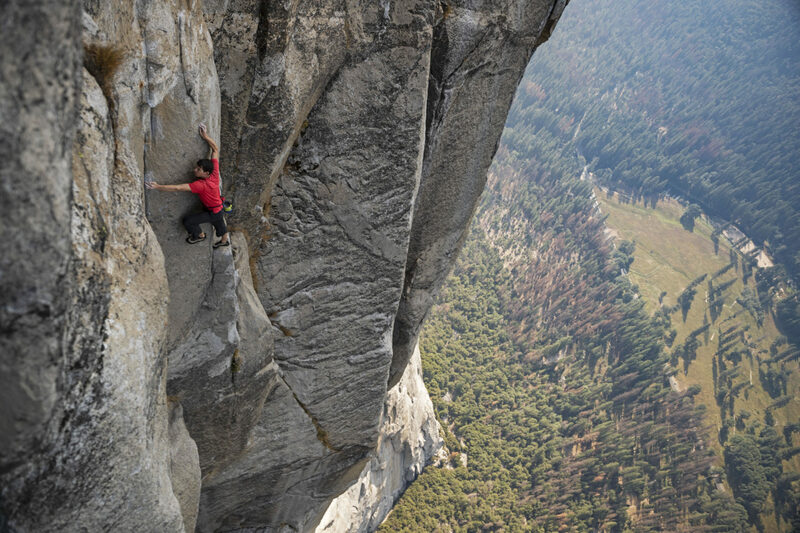 This weekend we watched the terrifying and thrilling “Free Solo.” This National Geographic documentary captures an unprecedented climb by Alex Honnold: scaling the 3,000-foot El Capitan in Yosemite Park without a rope or safety gear. When I first heard about Honnold’s climb, I thought “that’s insane!” along with “why would anyone do that?” These sentiments were echoed by those closest to Honnold, other elite climbers, and most especially, by his film crew. There was a good chance they’d capture him falling to his death. One particularly compelling aspect of the story to me was the “both/and” angle: how Honnold saw the impossible by working with the possible. The climb’s consequences are extreme: one misstep is doom. Against that backdrop, though, nothing was left to chance. Honnold and his comrades studied every inch of that mountain. He choreographed the route step by step. He knew it by heart and practiced it repeatedly (with safety gear). You can hear him reciting those steps in interviews. You’ll also hear him talk about visualizing himself succeeding. He believed he could do this. Honnold’s aspiration – insane though it was – taps directly into an important aspect of leadership: seeing possibilities others can’t and challenging people to dig deep into themselves. Seeing and believing in such a crazy goal is awe-inspiring. It taps into proven elements of what innately motivates us: having a purpose and developing mastery along the way. It creates focus. It inspires dedication. Equally, it is the balance of establishing huge goals AND recognizing that it takes detailed planning to get there that make for a winning combination of leadership. I can’t tell you how often I hear frustration among teams when half the people are caught up by the big idea and the other half need to know the nitty-gritty details first. The reality is that each side needs the other. Managing these opposite tensions isn’t easy and it is precisely tensions like these that are at the heart of leadership. What matters is whether you can attend to both ends of the spectrum. Strong leaders pull the best from each and ensure one end isn’t always in favor. How can you practice this? Know thyself – which end of this spectrum is your go-to? What do you overlook by honoring this preference? Engage other views – who represents the perspective of the other end? Will they willingly share it? Will you willingly listen? Take a learner’s mindset – how might it serve you to practice working against your preference for the sake of broadening your leadership experience? Remember to remember – teams also get stuck in forgetfulness. They can either be so focused in the weeds they lose sight of the “why” OR they only look at the big picture without acknowledging where there are operational breakdowns. How can you check in on both across any big goal? While scaling El Capitan is nowhere near my bucket list, it’s been awhile since I’ve named an insane goal for myself … the idea is captivating.